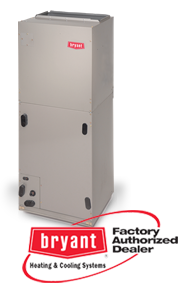 Available with either single or variable speed motors, Bryant® air handlers make a significant contribution to the overall efficiency of your system. That’s because the more efficient your air handler is, the less work your outdoor unit has to do to make your home comfortable. 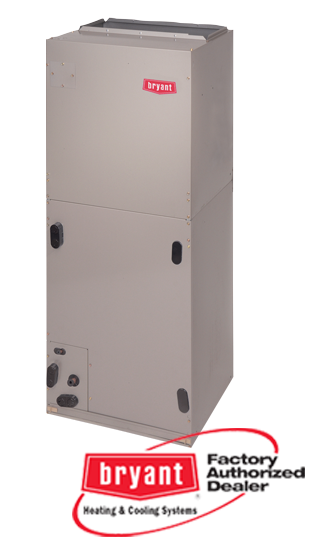 Take a look at our family of air handlers below and find the product that best fits your needs. Our brief feature descriptions will assist you in making the most informed choice. For more on air handlers or any of our other products and services, please contact us. Don’t forget to ask us about our exclusive 100% Satisfaction Guarantee!